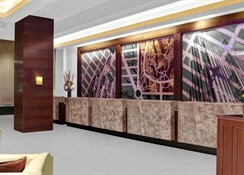 Located at the heart of Manhattan, the Crowne Plaza Times Square is a fine example of contemporary urban hospitality. 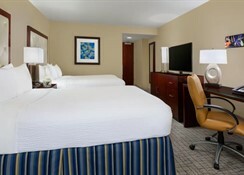 The hotel is located right on the Broadway and surrounded by iconic NYC sights like Rockefeller Center, Central Park, Carnegie Hall and the Museum of Modern Art. Its luxurious décor, warm hospitality, well-appointed guestrooms with panoramic city views, top-class service and amenities are some of the highlights of the hotel. 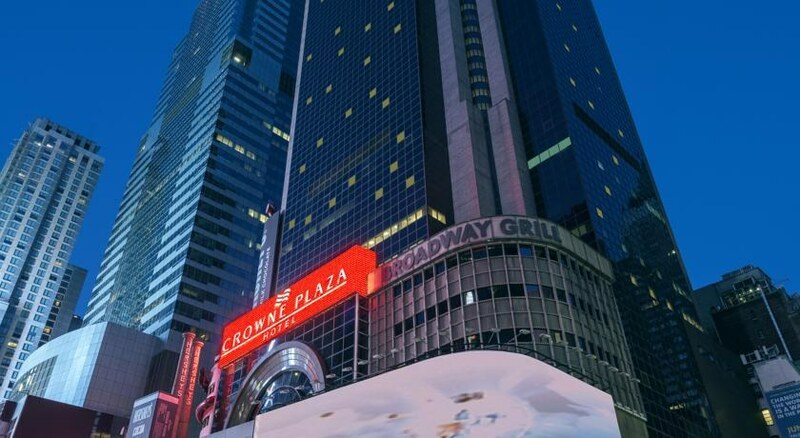 The perfect hotel to spend your New York holidays, Crowne Plaza Times Square is a comfortable retreat amidst the hustle and bustle of the city for both business as well as leisure. Its premiere restaurants and vibrant bars and lounges add to the hotel’s popularity. For recreation, you can take a dip in the indoor pool, work out in the world-class fitness centre or hit the streets that house Manhattan’s best restaurants, shopping and nightlife. Barely 500 metres away from Times Square, this Manhattan hotel is within the easy reach of landmarks such as the Rockefeller Centre, Radio City Music Hall, and the Museum of Modern Art. The Central Park is a 10-minute walk from the hotel. The 49th Street station is also nearby, thereby providing its gusts an easy access to the subway. 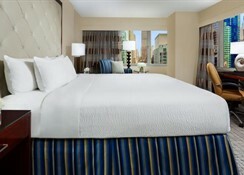 The Crowne Plaza Time Square has 795 well-appointed guest rooms. All the rooms come well furnished with plush beds, flat-screen cable TVs and MP3 stations. A private lounge offering a continental breakfast and afternoon snacks is an added attraction. 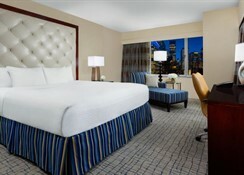 The rooms offer magnificent views of the Manhattan skyline and the Hudson River. The Crowne Plaza Time Square Manhattan has an on-site restaurant called Brasserie 1605, serving traditional American for breakfast, lunch and dinner. Guests can also enjoy drinks at the Broadway 49 Bar. The neighbourhood is also littered with some fine restaurants and bars, thereby providing more eating options. There is always something to do in New York. 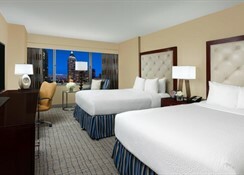 The hotel is located in the hub of all the action in the city. Times Square, the theatre district, the museums are nearby. On the contrary, if you are after peace and quiet, you can always lose yourself in the tranquil surroundings of the Central Park. Indoors, guests can go for a swim at the indoor pool or work out at the well-equipped fitness centre. There's also a full-service business centre for meetings and events.